As much as Mac computers come with a robust software ecosystem, there are many programs out there which are solely dependent on Windows support. Accordingly, Mac users need to know how to integrate the Windows operating system to run Windows programs on their machines; it could be playing PC games by Windows or using a Windows-based business software. There are some helpful tricks by which Windows software can run on Mac to enable you to use windows backed programs effortlessly. If you want to play Windows games or for demanding applications requiring high performance, installing Windows on Mac as the operating system works best. Having Windows on the Mac enables optimal use of applications at maximum performance. You will give the Mac the performance level of a similar specification Windows PC. 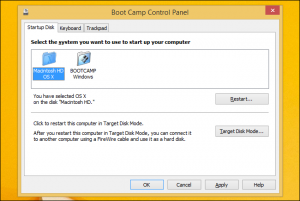 You can use Boot Camp by Apple for dual booting; install Windows for use together with macOS on Mac, however, only one system can be used at a time. Restart the Mac to switch between macOS and Windows operating systems. It is a similar process as that used for dual booting Linux on Windows. Boot Camp cannot run macOS and Windows applications on one machine. Therefore, if you want Mac applications and Windows desktop applications running together go for a virtual program. For optimized performance for the latest Windows games on Mac, Boot Camp will serve you best. You need a Windows license to install Windows on Mac. 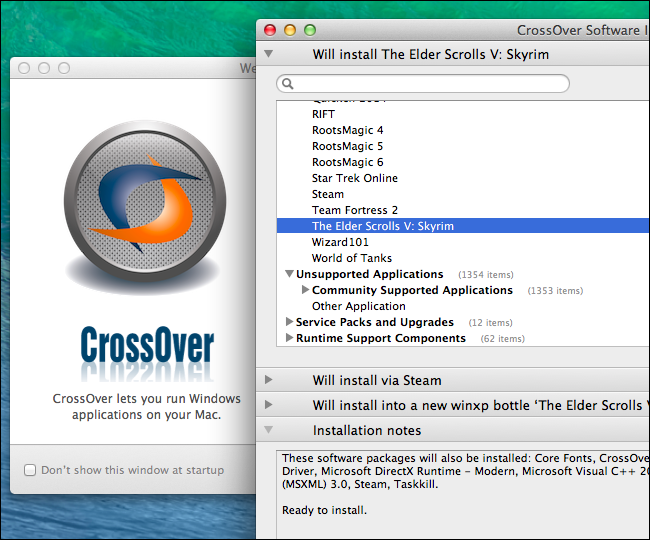 CrossOver Mac by CodeWeavers is a paid for application, for running Windows programs on Mac by using the open-source Wine code but with with a focus on supporting popularly used programs and an appealing interface. If a CodeWeavers cannot assist you if a program doesn’t work. Improvements to the application are added to the Wine project which is open source. It means you will be supporting Wine. 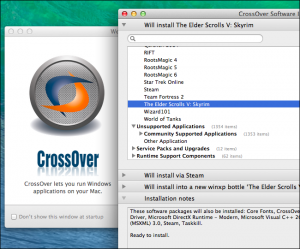 CrossOver has trial versions for first-time users. Get information about programs which run well on it before purchasing. CrossOver will not work with all applications because it is based on the Wine code. CrossOver does not need a Windows virtual program but if you have one, you should run Windows programs without worrying about bugs. This software enables you to run PC games by Windows on Mac much better virtual machines but be ready to deal with bugs and to encounter unsupported programs. 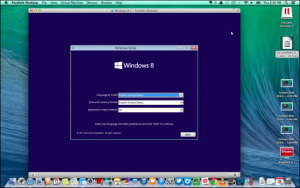 You do not need to run Windows on Mac if you are using a Windows system, instead, to gain access to the machine with Windows from Mac, use a remote desktop software. This option is ideal for organizations for business software running on Windows to host Windows servers and make applications available to other machines i.e. Androids, Chromebooks, Macs, iPads and Linux PCs. A home user can configure a Windows PC for remote access and link with it when a Windows application is required. Chrome Remote Desktop can connect to a Windows PC running Chrome if one has a Mac running the same. However, this option is not the best for visually intensive applications like PC games. 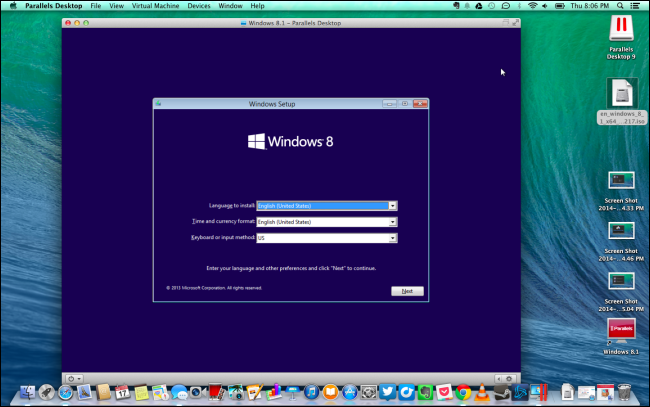 Virtual machines allow users to install Windows in a window on Mac, as well as other operating systems. This makes it of the best options for running Windows desktop software on Mac. Windows will be enabled operate as if it is on a computer when in fact, it is operating from a software on Mac. Most virtual programs can be used to translocate Windows programs from the virtual program to the Mac desktop (but they will still run in the background in the virtual program window) which means that you must not use Windows programs in the virtual program window. To use Windows in a virtual program, your Windows must be licensed. If you have one already it is free to download. All you will need to install it in a virtual program is the product key of your license. 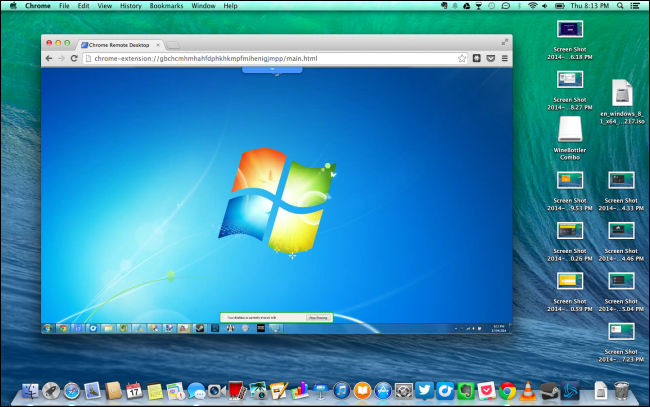 The best virtual programs you want for running Windows applications on Mac without the need to reboot are Parallels or VMWare Fusion. For gaming software, dual booting Windows with Boot Camp works best for dependable and maximum performance. Parallels Desktop is great to test software because it connects with macOS seamlessly. The speed is better than VirtualBox making it good for running Windows. Parallels and VMware Fusion are the leading virtual programs for Mac. Since both have to be paid for, you need a Windows license and a copy of your virtual machine program. Alternatively, use VirtualBox for Mac which is a free open-source. However, its Mac operating system integration and 3D graphics support are not very good. The main disadvantage to virtual machines is the below par 3D graphics performance which is not effective for running games by Windows on Mac. It works, especially with older games but you will not get the optimal performance with virtual machine programs with new games. 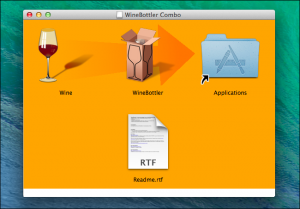 Wine enables compatibility and enables Windows programs to run on other operating systems. Basically, it is a code similar to Window’s and which the programs depend on to run on other operating systems. Therefore, it means that it cannot run every Windows program. You can get information about applications supported by Wine, go to Wine AppDB. Despite the shortcomings, Wine is one leading option for operating Windows programs Mac and it does not require actual use of Windows, thus no need for a product key. Wine is completely free. Download WineBottler or Wine for macOS to find out how well it runs your applications. These 5 ways of running Windows software on a Mac will require more than the installation of a Windows program. If you own a Mac, focus on using Mac software as much as possible for best performance and output because, Windows programs as much as can work, are not made for and will not integrate totally nor work as well as Mac software. You need a Windows license to be able to use Windows programs optimally on Mac. Whichever of these 5 options you will choose, the bottom line is that Boot Camp, CrossOver, virtual machine programs or Wine are great options but are not perfect. The best way of getting the most out of a Mac computer is to stick to its software.